In green economy debates, local power of all kinds is a hot topic, and in many circles there is growing interest in the unique properties that bamboo brings to generate electricity for communities, villages or enterprises. The technology is ready. Small-scale electricity generators are made commercially by a number of European, North American and Asian companies. They are powered by biomass products that include recycled biomass waste, wood and bamboo, and in use worldwide. The promise for users in wealthy countries is energy independence and a greener alternative to centrally-produced fossil fuel power. Development agencies and experts working in rural areas are attracted by the prospect of local electricity to bring power to villages that are ‘off the grid. Today, in the 21st Century, too many communities still do not have power. With these technologies, local power generation is now within reach. This is happening today. In India, for example, a number of rural communities are running local generators fed by bamboo and other materials. While the technology is in place, the value chains and technical questions for the long-term operation of bamboo-based local electricity need to be better understood. More work is needed here before bamboo-based local power can be offered as a ready-to-use rural development tool in many communities. -How to plant and multiply enough bamboo to supply a generator, and what volumes or raw material are needed for the desired level of Kilowatt hours? -What skills and processes are needed for a community to create, maintain and sustain year-round electricity generation with a small-scale unit? -Bamboo-based electricity generation is in place in a number of locations today, but many of these services are based on projects. Will they be truly sustainable for the community over the long term? -And what is needed for a mass movement of small scale electricity based on bamboo as the primary resource, to take hold? Technical skills and service contracts are needed to guarantee the supply and maintenance of a local system. ‘Templates’ and best practices for this do not yet exist. We need more precise socio-economic information and well-documented value chains that provide evidence that will attract the confidence of development partners, investors and government planners. INBAR and partners are studying these questions and are enthusiastic to open new partnerships with development agencies and investors interested in finding these answers together. -Do have expertise in small-scale electricity generating using bamboo? -Do you share our questions, concerns and enthusiasm to support the scaling up of bamboo power value chains? 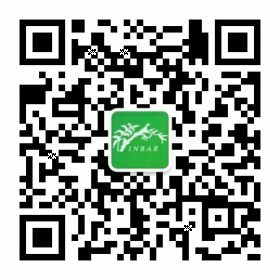 -Share your comments here or contact the INBAR team.